As you read this, we are on our way to visit some of our family. (See the Question of the Week below.) Although we're traveling, we wanted to tell you about a new venture that we are excited about. Plus, we want to give you an opportunity to help us and save some money, too. Joyce and I hope you have zero computer problems while we're gone! Oh, one last thing: if you follow us on Social Media, you won't find any vacation pictures posted. We never post those until we're back - for security reasons! Question: "I heard a rumor that you are going on vacation. How can you leave us?" Answer: If you have children and/or grandchildren, you understand getting away to see them from time to time. Well, this is the time of the year we do that and we're off to visit our oldest son and family. 1) Monday through Friday for the next two weeks, Evie will be answering our main number (772-408-4425) from 9:30 a.m. until 5:00 p.m.
2) Remote Support will be open Monday through Friday from 9:00 a.m. until 11:00 a.m. and then again from 2:00 p.m. until 4:00 p.m. Please NO QUARTERLY CHECKUPS during the next two weeks. There will be no in-home or on-site visits during the next two weeks, also. If you have an emergency, please let Evie know and she will pass your information along to us. If your emergency is after hours, you can still purchase RTS Plus and pay $30 one time (instead of yearly). See above for that info. 1) DO NOT CALL any phone # that appears on your screen because it says you have a virus. And, do not respond to anyone who calls you on the phone saying the same thing. 2) Download and print out our Vacation Guide which you will find HERE. 3) We understand that your computing devices are important and, if your's breaks down and you can't wait for us to return, we will not be offended if you have to call someone else. 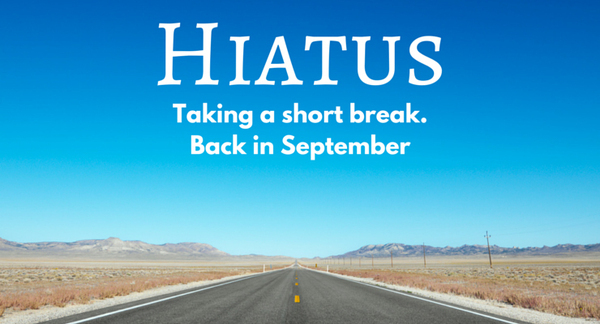 We hope you have two weeks of computer ease while we're gone!